This Saturday is the 4th Annual International TableTop Day. A day of celebrating all things tabletop, including board games, card games, miniatures games, RPGs, and more! If you want to try to score some of the exclusive promos (I know I do! ), check for local events near you here. In thinking about how I wanted to write a post about ITTD, I thought I would share a list of games for new gamers, experienced gamers, and those making plans for the 5th Annual ITTD. If you can't attend a local event, no worries, as long as you "play more games" as Wil Wheaton is always encouraging us to do, then you are a winner! 1. Mysterium- Besides being an absolutely beautiful game, Mysterium conjures nostalgic feelings of playing Clue as a child. You are trying to identify a killer, location, and murder instrument, but your clues come in the form of cryptic images from the player who is the ghost. One player is the ghost and gives the clues in the forms of art cards, and the remaining players are psychics trying to decipher the ghost's messages. Definitely a game you will want to play multiple times and one that plays much different if you are the ghost or one of the psychics. 2. Greedy Greedy Goblins - This new title from AEG and designer Richard Garfield, Greedy Greedy Goblins is a press your luck game in which you try to mine as much treasure as you can without blowing up. The catch is that some dynamite is good and multiplies your earnings, but too much will cause your mine to explode and cost you some hard earned money. My favorite phase is the mining phase in which players simultaneously place tiles onto the mines face down. You are able to see the tiles you place, but not the tiles other players place. If you feel a mine is worthwhile to claim then you have to be fast! A unique gaming experience that is easy to teach and learn. 3. 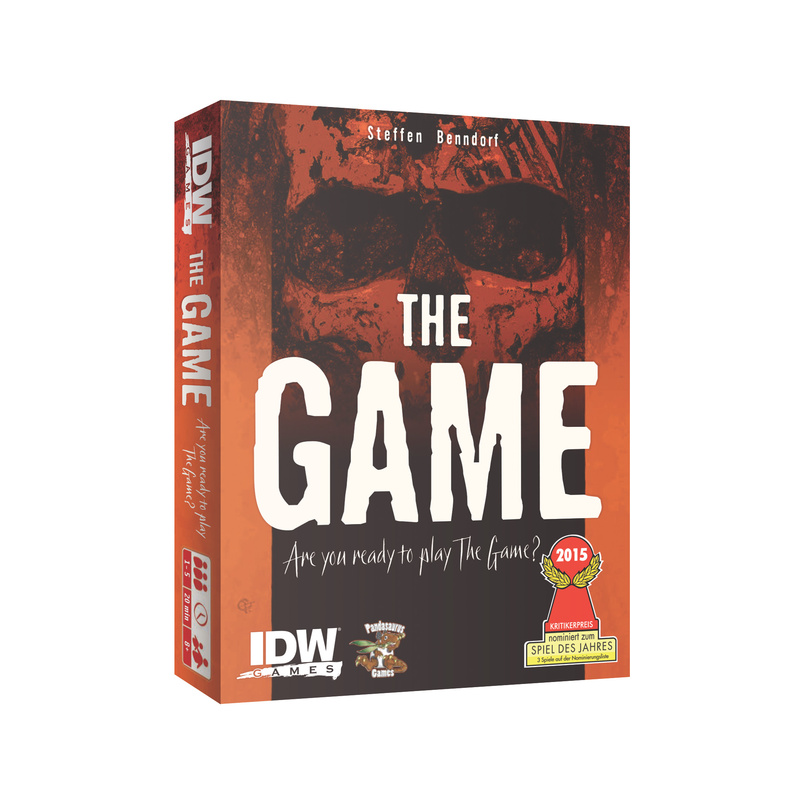 The Game - I've have talked about The Game before and it continues to hit the table on a regular basis in my house. It is one of the most frustrating and engaging games that appeals to every single person I have introduced to it. This cooperative game has you working with others to try and play every card in the game. The tension is real and the only hard part, besides winning, is not saying "just one more try." 1. Stone Age - While not particularly heavy, this game was my introduction to the worker placement genre and I still love it. Players manage a tribe of cavemen and cavewomen and who are trying to earn victory points in a variety of ways. Do you place two of your people on the tent and make a baby? Do you mine for gold? Your decisions are impacted by what spaces are available on your turn and how many workers you are willing to place. In addition, you must feed your tribe and ensure they are fed after each round. This game features multiple strategies, but plenty of dice rolling to keep a healthy random element as well. 2. Five Tribes -I will admit that this sadly does not hit the table as much as I would like, but when it does I find it to be an absolute joy. You move meeples around the board, dropping one on each tile while you move like Mancala, and then execute a special action based on your destination and the type of meeple you collected. To add another wrinkle, players accumulate Djinns, genies who grant you additional abilities and help refine your strategy. It can get a bit cut throat and players often suffer from analysis paralysis, but it remains one of my favorite games. 3. Tammany Hall - This is my favorite area control game that has you managing the corrupt system of New York City politics in the 1850's. Players take turn placing immigrants and ward bosses in various districts in the city. Every four years there is an election and the winning player of that election will be the mayor for the next four years. The mayor then assigns roles to everyone else that will give them an advantage in becoming the mayor in the next election. There is a lot of backstabbing and alliances that will keep players heavily involved on every turn. One of the most beautiful games in my collection. 1. Exposed - (https://www.kickstarter.com/projects/1026360181/exposed-1) This title from Overworld Games is a deduction based game in which you try to identify fellow pickpockets. Each player secretly controls a pickpocket at a party and are trying to pick as many pockets you can and out the other pickpockets. Featuring really cute art and some fun mechanics, this seems to be a sure fire hit for next year. 2. Illios: The Battle of Troy - (https://www.kickstarter.com/projects/70336739/ilios-the-battles-of-troy) This abstract title from Playford Games pits players against one another as they attempt to surround and capture tiles. It supports 2-4 players, and is described as a strategy game that has you raiding, plundering, and ultimately surrounding your opponents. The game has a sleek look and features an element of suspense that has me very intrigued. Illios is in the final push and needs your help to fund! 3. 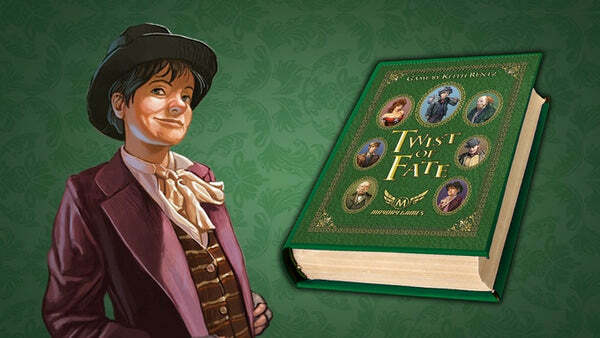 Twist of Fate - (https://www.kickstarter.com/projects/maydaygames/twist-of-fate-the-oliver-twist-microgame-for-2-4-p) I am a sucker for a good microgame, and the good folks of Mayday are raising funds for this Oliver Twist title. For only $9, you and your fellow players will race to see who can be the first person to help Oliver escape. Featuring some stellar components for such a low price, players can use the twist of fate mechanic to get the opposite side of played cards. Looks like a nice quick game that is great for events like ITTD.